The Saba 50 is one of the most popular model that Fountaine Pajot has launched available for charter in Croatia! 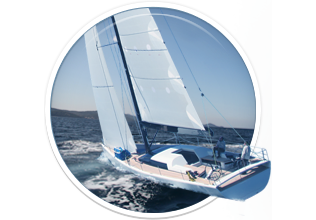 This catamaran has been designed to be stable during navigation, without any uncomfortable rolling. 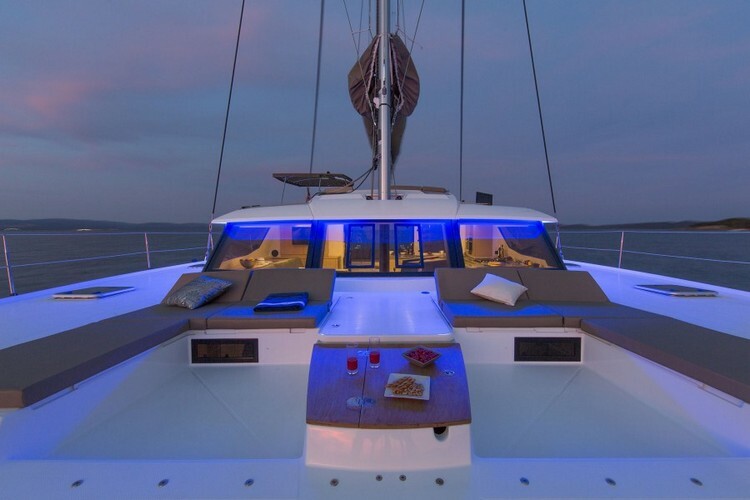 This catamaran has been extremely well balanced so it remains stable even when anchored allowing this way for to enjoy full special moments. 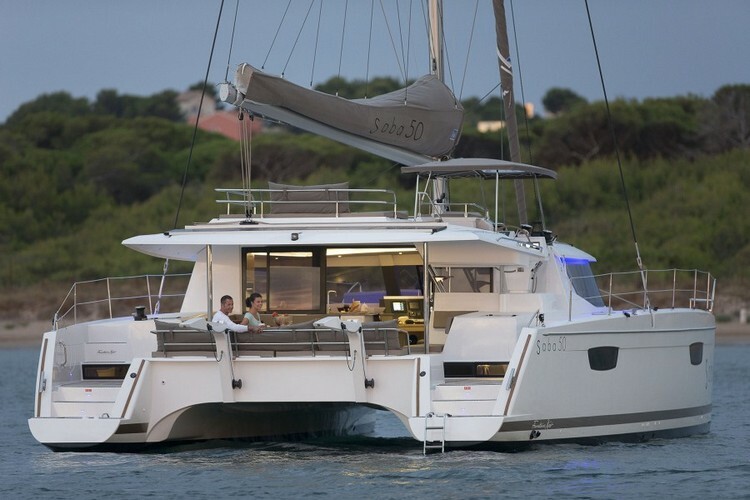 It is the only catamaran with 6 guests cabins available for charter in Croatia. 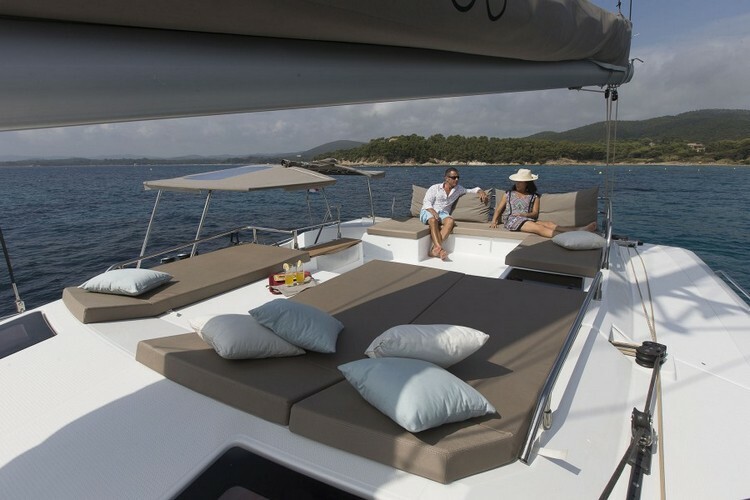 This catamaran is available for charter out of marinas in Trogir and Split. 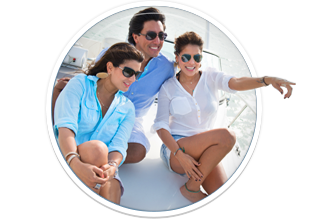 It can be chartered bareboat if one possesses all the necessary nautical qualifications including the nautical license and VHF certificate. 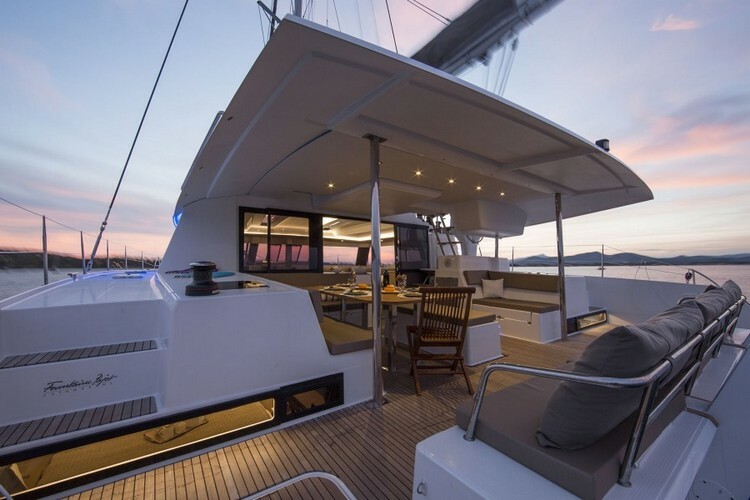 The catamaran can comfortably accommodate 12 passengers in its 6 double cabins. 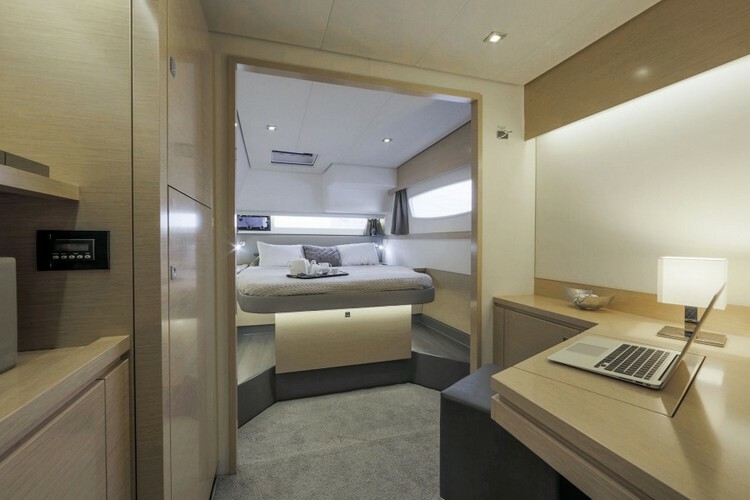 The catamaran Saba 50 has remarkable volumes in each of its cabins with queen size island bed with separate shower, desk and ample storage. 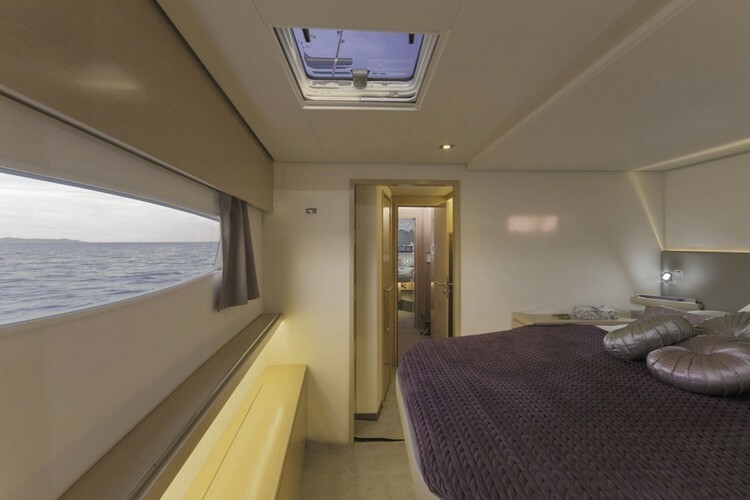 It also has 2 separated single crew cabins so the guests can have their privacy in case crew if requested. The Saba 50 offer to its guests enormously spacious living areas where boat’s saloon is accessed via an extra-wide entry door that seamlessly integrates the indoor and outdoor spaces. The galley is L-shaped and offer lot of storage space. 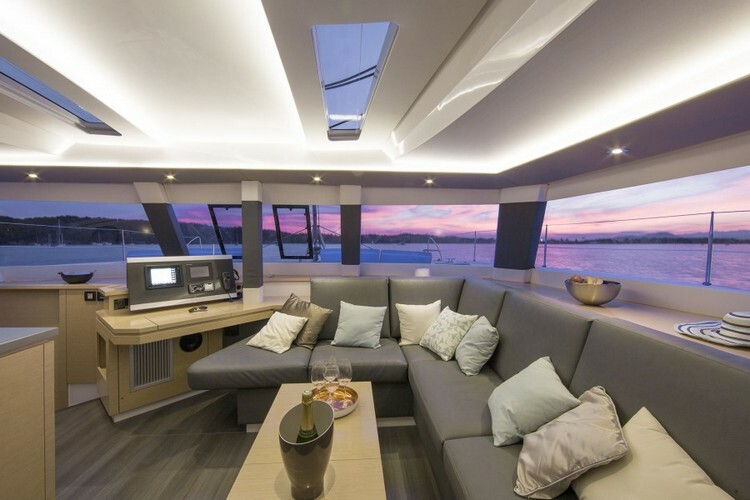 The cockpit offers large lounge, extra sofa, dining table for 12 guests, and there is also an option for a huge sunbathing lounge on the fore deck. 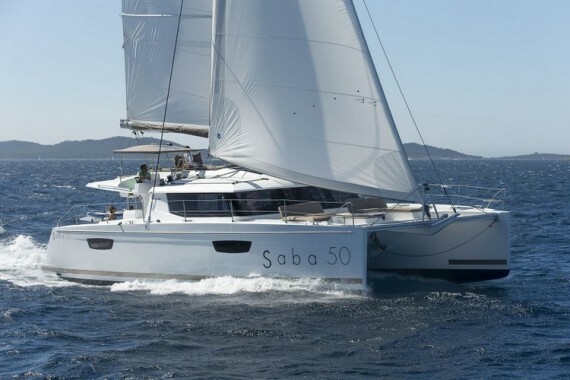 Saba 50 is a modern and luxurious catamaran available for charter in Croatia and you should not miss the opportunity to rent this extraordinary catamaran. Here you can find basic information about Saba 50. 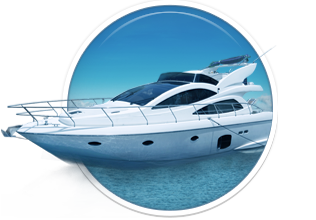 Other specifications, can vary from boat to boat, therefore we recommend to search for particular Saba 50 from our database, in the destinations of your preference.